Today is the final day of competition at the IAAF World Indoor Championships, so I’m going to post one more track from the Sopot area. 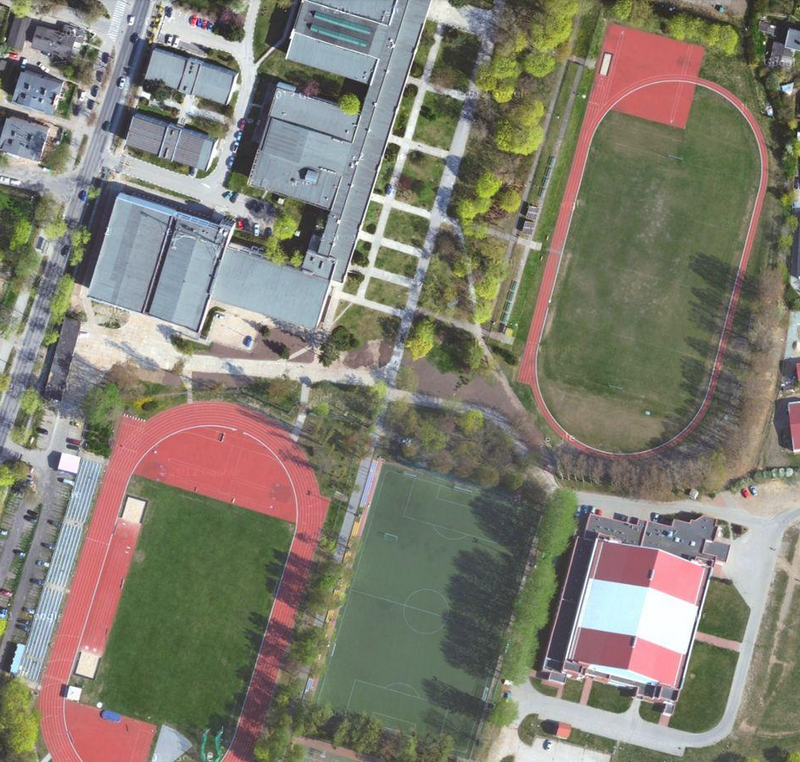 Today’s track is actually located right next to yesterday’s track (the one on the bottom left) at the Jędrzej Śniadecki Academy of Physical Education and Sport. I’m posting this one because it marks a first for me: a 2-lane track! I’m calling the “practice track” because I couldn’t find any information on it, but clearly isn’t used for competition. It’s a full size track, but no lines on the oval other than the three creating the two lanes. The 100-meter start and finish lines are marked on the main straight though, where they have doubled the number of lanes to four. There is also one sandpit at the north end of the straight for the horizontal jumps. This must be used for practice/training/teaching at the school. The thing that I can’t figure out is this. 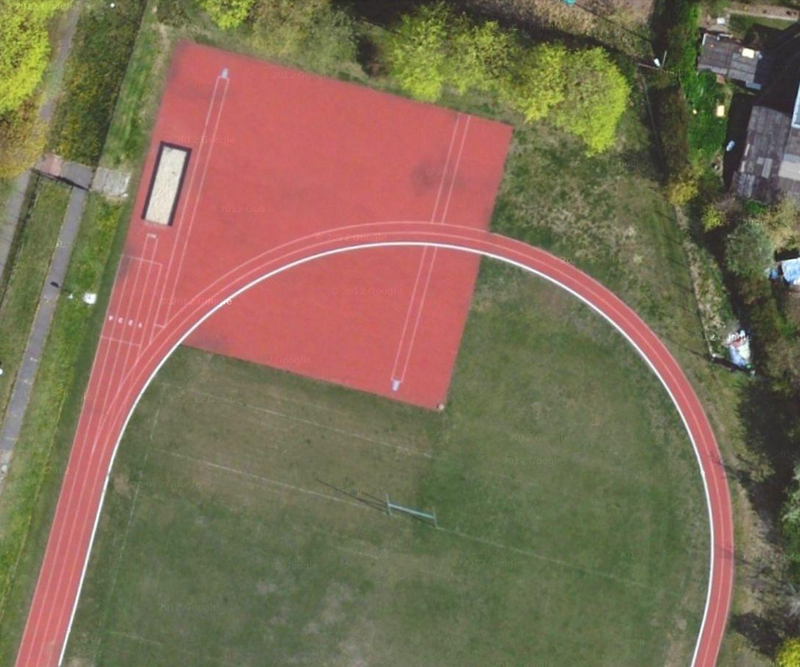 If you are going to spend the money to install an all-weather track surface, why wouldn’t you do the whole thing? Why only two lanes? I wouldn’t think it would be that cost much more to go to five or six lanes. Interesting. Since this track is in Poland, I might not ever find out. Do you readers have any ideas?? ?